What have we learned so far about this UT team? Texas is entering the teeth of their pre-season schedule with [tag]UCLA[/tag], [tag]Villanova[/tag], and [tag]Wisconsin[/tag] coming up on the schedule. Texas has already been tested in the young season at the Maui Invitational. 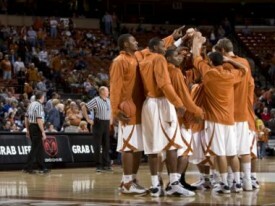 The Longhorns finished third after losing a close one to Notre Dame. Every season presents different questions about a team, but after a handful of games we’re starting to learn some key things about the Longhorn basketball team. 1. [tag]Justin Mason[/tag] is going to be the point guard. I know [tag]AJ Abrams[/tag], and his father, want him to be a point guard but the fact is the senior sharp shooter isn’t one. The former McNeil star wasn’t one in high school and he won’t be in college. Barnes allows Abrams to play point on some occasions but clearly this team is served best with Abrams running the base line working off screens. Mason showed the ability to run the point and beat defenders off the dribble when he had a monster dunk that ended up being the play of the night on SportsCenter after the Notre Dame game. Even if Abrams could run the point consistently it would put the Longhorns at a disadvantage on the offensive end if Mason played the off guard because Mason possesses fewer skills at the “2” than Abrams does at the “1”. Look for Mason to be the point guard going forward. 2. [tag]Damion James[/tag] is the key to the season. The Longhorns looked the best offensively Wednesday against [tag]Oregon[/tag] even with Abrams not being a huge part of the offense. The success was due to the focus on pounding the ball into the paint and the willingness of James to play from the inside out. James struggled the first two games of the tournament in shot selection as he seemed to try too hard in prove he can play on the wing. James is one of only six returning players in the nation to average a double-double last season. Even though this team will rely more on his perimeter skills James can not forget what has made him a star. He must attack the basket and be a factor on the glass for the Longhorns to make a run at a Final Four. James’ work ethic is unquestioned so there should be no doubt he will do whatever it takes to improve in these areas. 3. This team misses [tag]DJ Augustin[/tag]. This is a no brainer. Augustin was the best pure point guard in the nation last year and is already making an impact in the NBA. 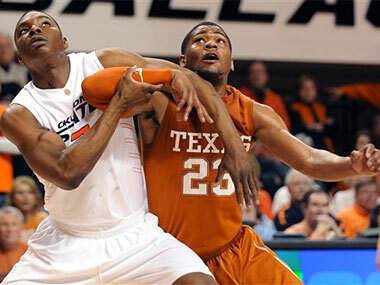 The Longhorns led the nation in turnovers (9.4) last year with Augustin at the point. Without him Texas is already averaging 15 a game this season with the combination of Mason and Abrams running the ball. As Mason, and [tag]Dogus Balbay[/tag], continue to get more comfortable as the man at point the Longhorns are sure to improve in the area. With the pressure and intensity Texas is able to produce on the defensive end it is imperative that this team value the ball on the offensive end. Nothing is going to come easy this year on the offensive end and Texas can not afford to give away possessions to good teams. 4. Defense, Defense, Defense. [tag]Rick Barnes[/tag] loves defensive teams. He must love this one. The Longhorns are already being called the best defensive team in the nation after only five games. The Longhorns pressure the ball at will and with James playing on the perimeter are able to add length and athleticism that Barnes has not been able to muster at Texas. The Longhorns are going to give opponents fits all year with their effort on the defensive end and they are going to have to keep it up, especially early in the year, as the offense finds an identity. 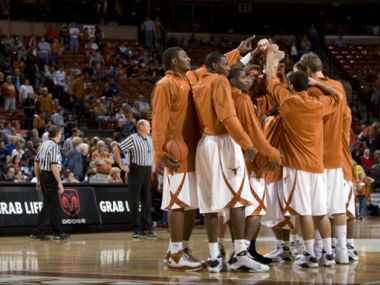 A good defense can keep you in games that the offense is struggling in and with only one proven outside shooter on the team it is likely there will be a few games where Texas is going to have to win ugly. DJ Augustin interview by FanHouse at Vegas summer league. Discusses head tattoos, Larry Brown, and the status of his knee. DJ Augustin’s play impresses Bobcats coach Larry Brown. Felton may play shooting guard to make room for DJ. Texas point guard [tag]DJ Augustin[/tag] has been selected with the 9th pick in the first round by Michael Jordan’s Charlotte Bobcats. A couple picks higher than most mock drafts had DJ going so congrats to him on being selected and the big contract that’s going to be coming his way. Charlotte was not expected to select a point guard, they currently have PG Raymond Felton starting who they drafted just three years ago in the top five picks. There were some rumors before the draft that the Portland Trailblazers were looking to move up to take Augustin and now there’s already rumors that the Bobcats took this pick with the intention of turning it around to complete a trade. Maybe Charlotte has a deal with Portland set up? That be great news for Texas fans for sure. Congrats DJ and good luck with your NBA career. We’ll be watching and rooting for you. Update: The Blazers just took Kansas guard Brandon Rush at #13. Rush is 100% a shooting guard, a position the Blazers already have the outstanding young Brandon Roy. Maybe send Rush to Charlotte for Augustin? Probably just wishful thinking. Update 2: I was right about the Blazers picking Rush to trade him for a point guard, but it was with Indiana at #11 and not Charlotte. Charlotte is reportedly shopping Raymond Felton. In the weeks leading up to tomorrow’s NBA draft the Indiana Pacers were one of the most likely destinations for Texas point guard [tag]DJ Augustin[/tag]. Now that’s not going happen thanks to another former Horn point guard. 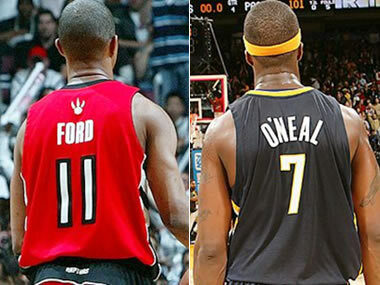 On the eve of the draft the Pacers have completed a deal to send Jermaine O’Neal to the Toronto Raptors for [tag]TJ Ford[/tag]. ESPN is reporting that the Pacers and the Raptors have agreed to a deal that would send O’Neal to Toronto in exchange for Ford, Rasho Nesterovic and the 17th pick in the draft. Due to Ford’s contract the deal cannot be officially completed until July 9th. Players will also have to pass physicals, not necessarily a given considering TJ’s history of neck problems. A possible O’Neal/Ford swap has been in the news since Monday. Toronto had two excellent point guards and TJ has been rumored to be on the trading block for the last several weeks. The Pacers have been pursuing a point guard and wanted to get rid of O’Neal so the needs of the two teams match up well. After being in Milwaukee and Toronto, Indiana still isn’t a marquee market but he’ll have a chance to get a fresh start in a place where he’ll be the sure #1 guy. Good luck to TJ with his new team. Portland trying to trade up to #10 with the intent to draft Texas point guard DJ Augustin. That would be awesome place for DJ to go.